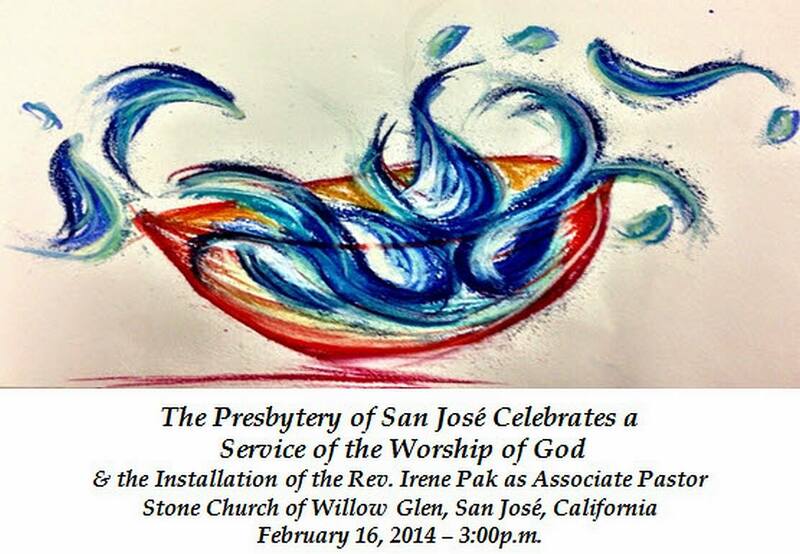 On Sunday, February 16th, I became officially “official” and joined Stone Church of Willow Glen as a full-time called and installed Associate Pastor. 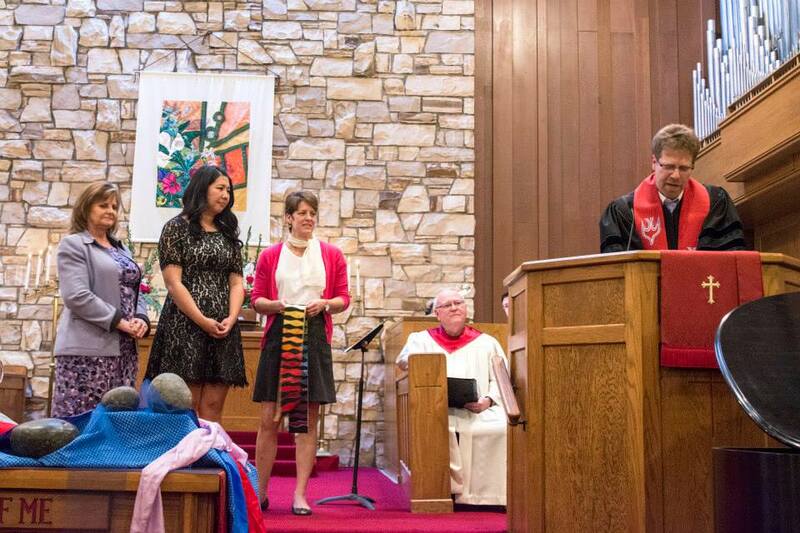 Being installed at a church after a year and a half serving there and getting to know the community is a completely different experience than a usual installation service at the beginning of one’s ministry. The energy felt electric and because a good relationship had already been established and feeling truly called to this place–the combination was … AWESOME. (There’s gotta be a better word than awesome, but it’s a pretty good one for me right now). The quote by Anne Lamott describes how I feel about the day overall. The installation service as a whole, the entire weekend, shed light on all the ways in which I have been given so much and blessed throughout the course of my lifetime and my faith journey. It was energizing and so so humbling. It was AMAZING to have such an array of representation of people throughout my journey present in the room…for an installation service! I am honored, humbled, and pleased to give back for all that I have been given. 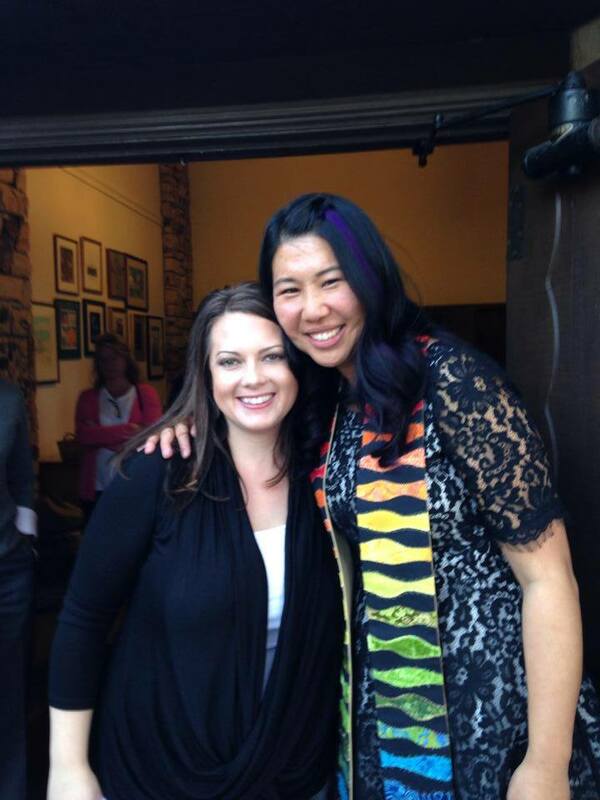 I have known Kristy who flew in from Utah since we were in kindergarten. 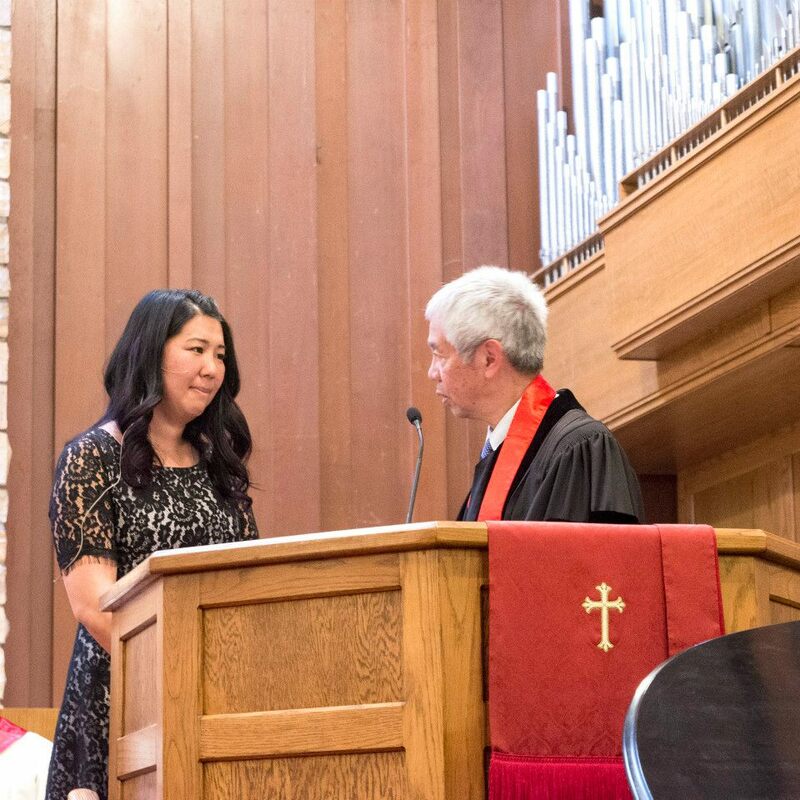 I’m emotional as “Uncle” Wesley Woo gives me some words and anoints me with oil…reminding me of my baptism and the cloud of witnesses that surround me. 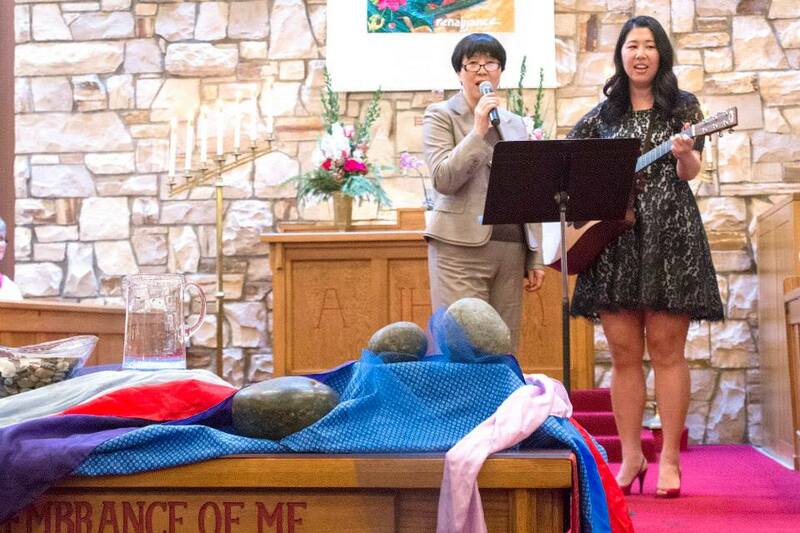 My mom and me singing a duet during the water/rock ritual following Theresa’s sermon. Ken giving me the charge. The Rev. Kamal Hassan, Moderator of San Francisco Presbytery; Teaching Elder, Sojourner Truth Presbyterian Church, Richmond, CA. Reception Organizers ~ Della Smith, Catherine Edwards, Hilleguus Faber, and the countless volunteers who signed up to assist with the preparation and clean-up of the reception and service. 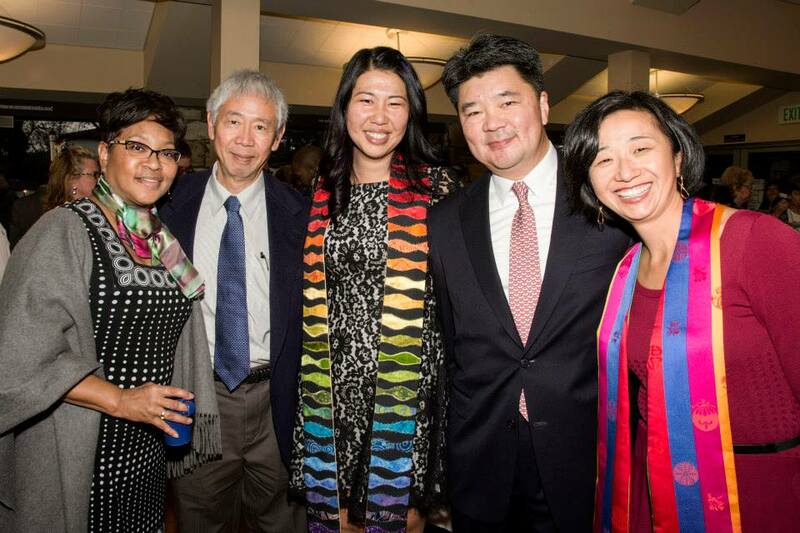 I am also profoundly grateful to my parents, Sang and Esther Pak, who traveled from Utah and prepared several of the dishes for the reception. 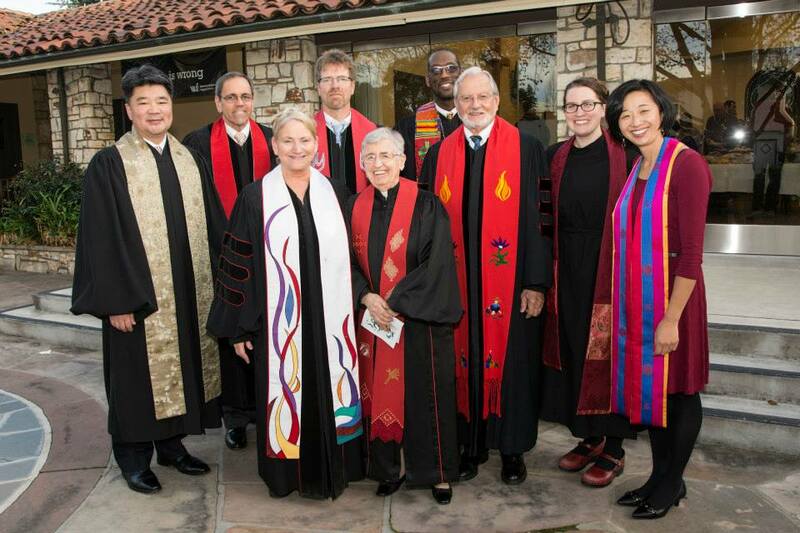 Many thanks to the San José Presbytery members and staff, ecumenical guests, mentors, colleagues and friends from many different points of my life and journey, and all of the service participants and members of the commission. Again, a special thanks to Rev. 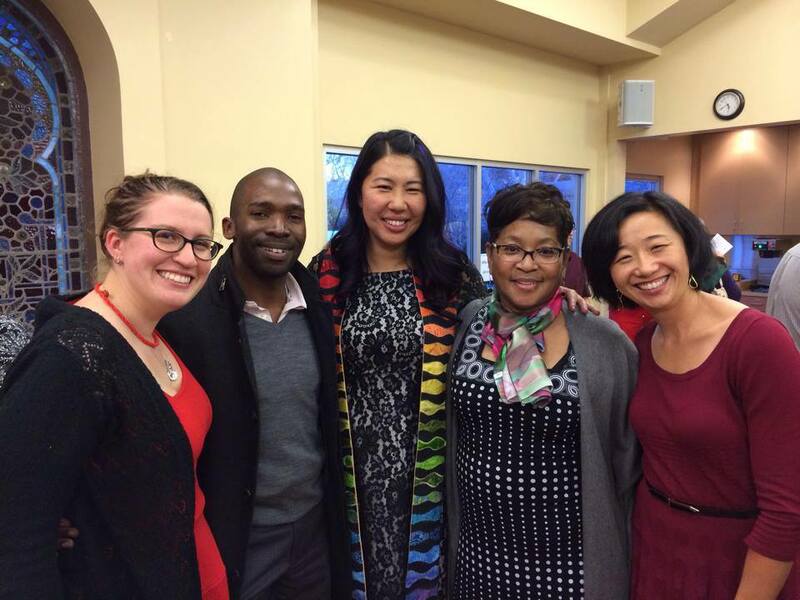 Theresa Cho for preaching. 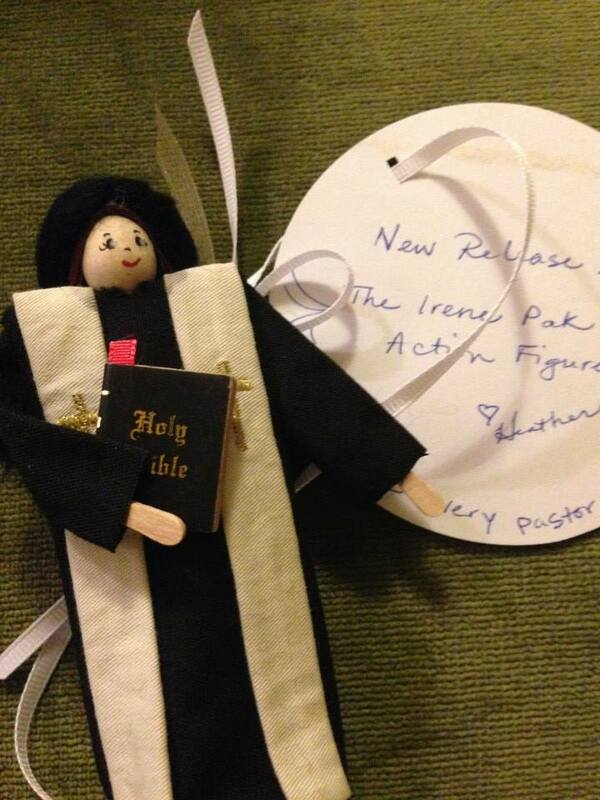 Finally, a special shout out to my awesome Head of Staff and colleague, Rev. Dr. Ken Henry. 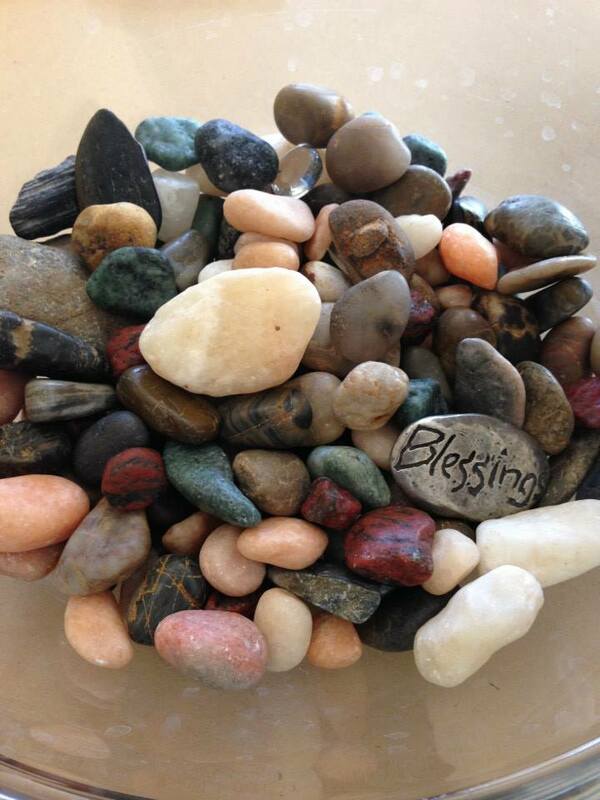 And Stone Church, I am thrilled to continue this faith journey with you.